The One With the Murals. This week on Instagram the It’s My Week account is featuring favorite walls that people choose to share on their Instagrams. In honor of that, and because this is a LONG overdue post, I’m sharing the pictures of murals that the Boy and I took just over a year ago. I love murals, graffiti, public street art, and all things outdoor paintings. Abbotsford actually has quite a few of these spread over town, and we didn’t get around to all of them during our walk. I have a few favorites, including one that I haven’t pictured YET, but hope to get around to soon. 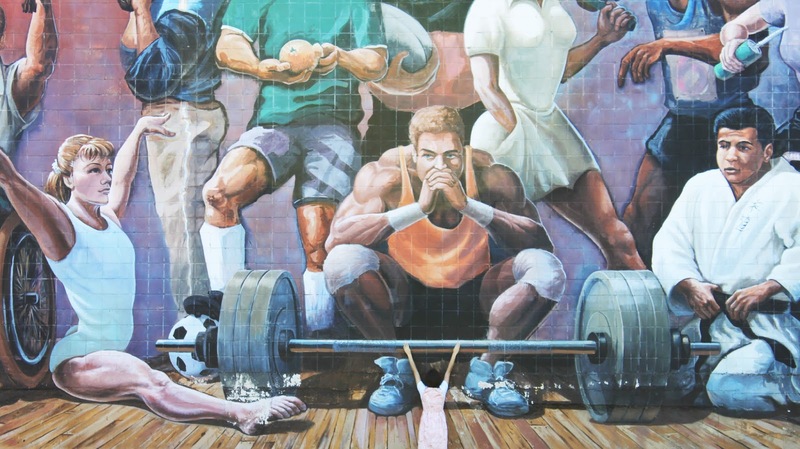 The above mural is called Summer Games. 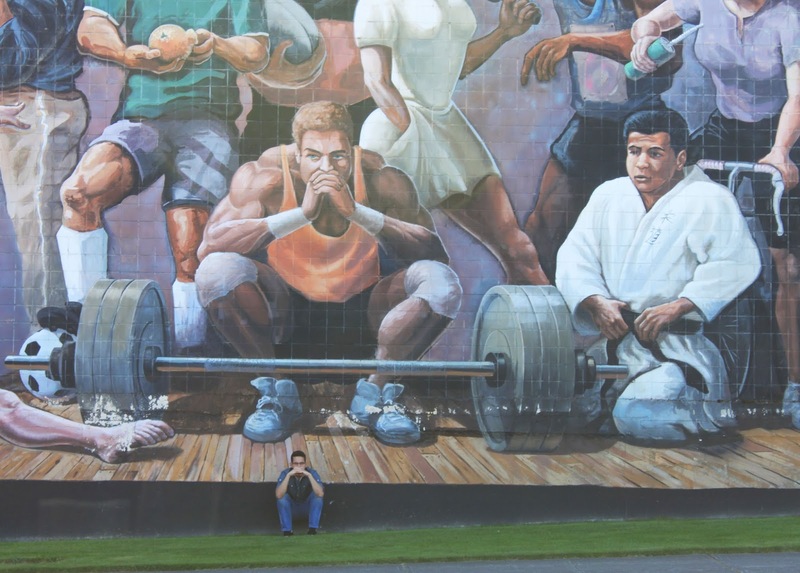 The artist, Dean Lauzé, supposedly included a “pumped up” version of himself in the mural. 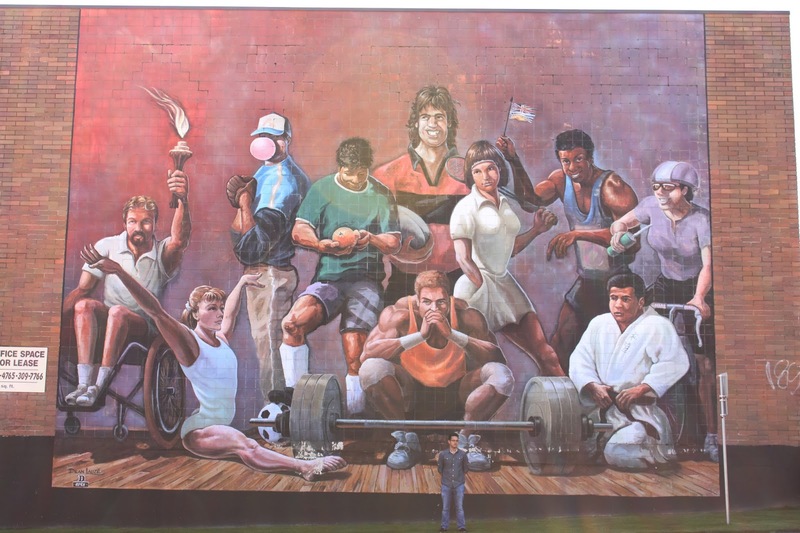 The mural was completed in 1994-1995 for the 1995 Western Canada Summer Games. It is located on McDougall Avenue. 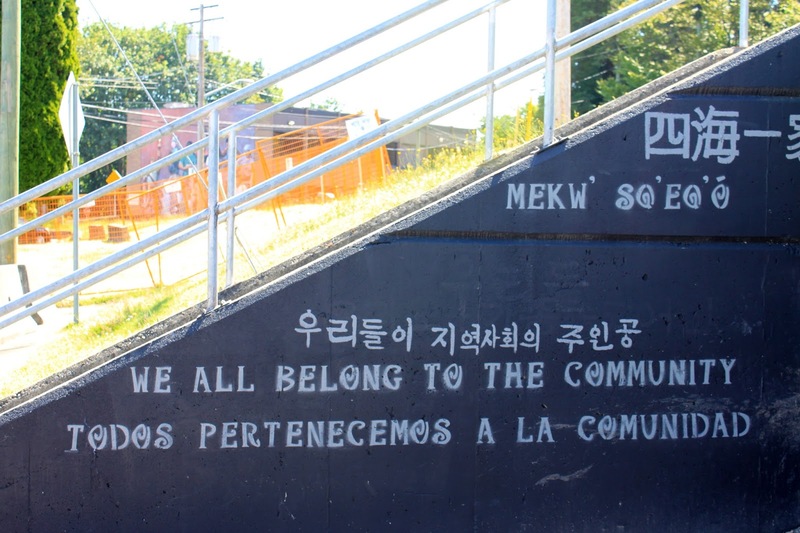 Just across the street from the Summer Games, is one that I couldn’t find a name for, but represents the community’s strides towards inclusion. 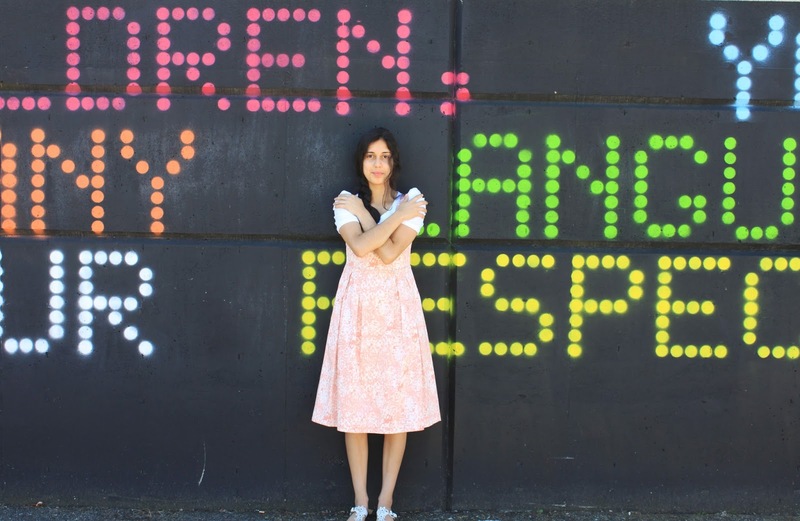 It delivers the message that we—children, youth, adults, and seniors—are from various parts of the world and speak many languages, yet we each deserve respect, love, and peace. Seventh Inning Stretch is one of my favorites because of the colors and downright small town feel. Also by Lauzé, it was the first of Abby’s murals and was completed in the summer of 1991. 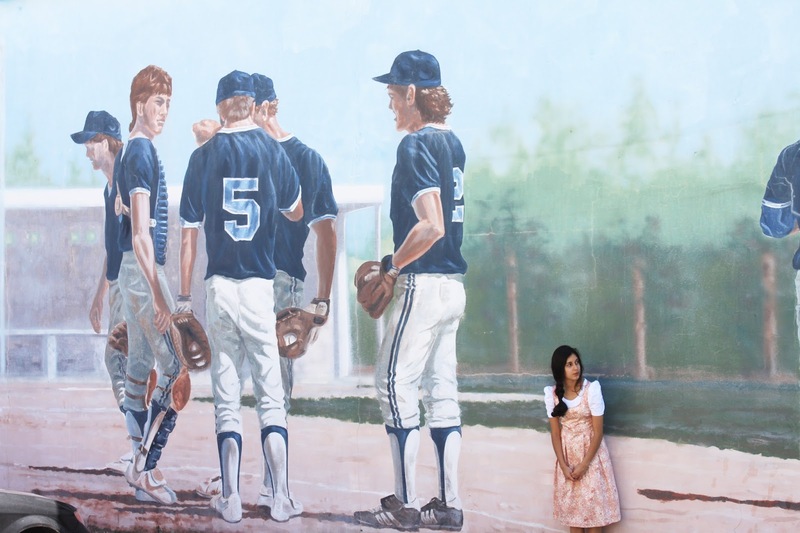 It’s a wider mural than most and depicts the scene of a baseball game representing community spirit and teamwork. 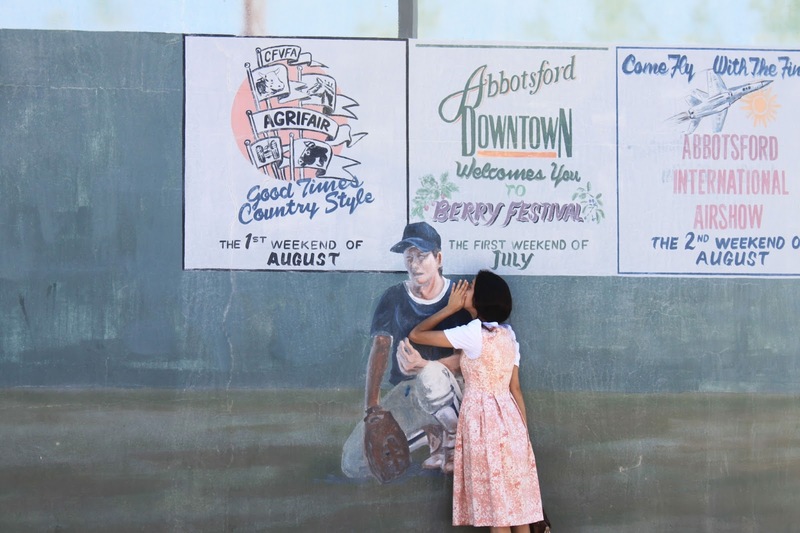 On the right hand corner of the mural, three 42″x42″ ad spaces highlight the town’s three biggest summer events—the Agrifair, the Berry Festival, and the Airshow. 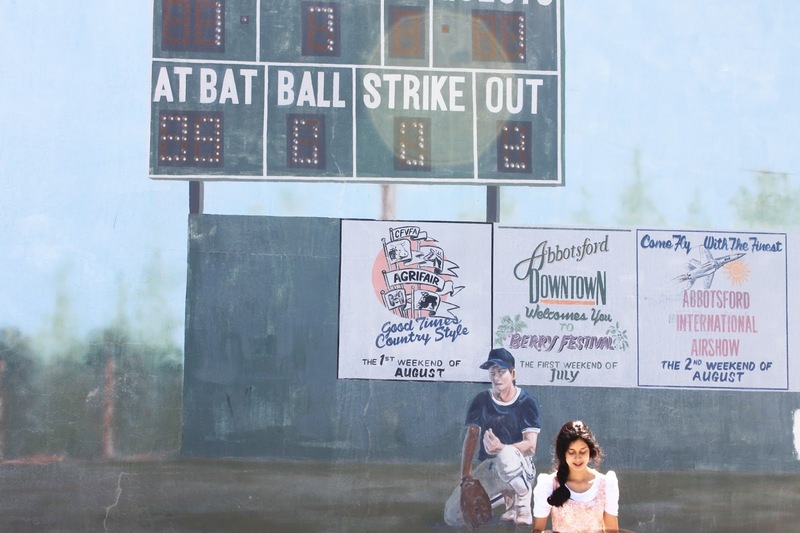 The mural is located in old downtown Abbotsford on Essendene Avenue. 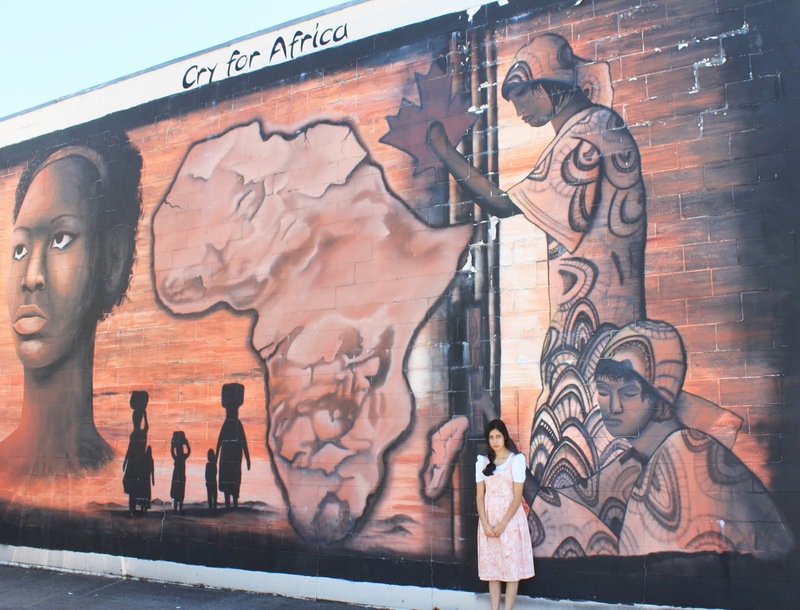 The last one we got around to photographing was Cry for Africa, one in a series of murals in BC with African themes seeking to raise awareness for the needs of Africa. The project is just one of the art projects by CYRUS ART—an art company here in BC specializing in murals. 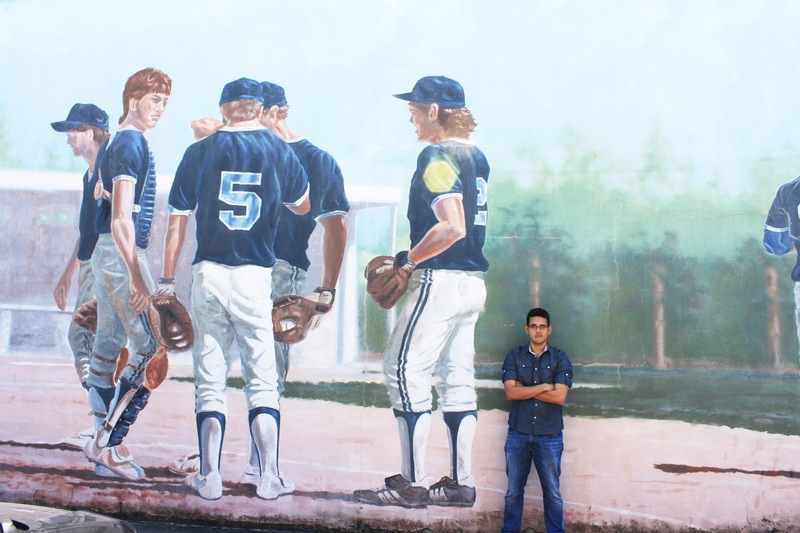 The mural is located in front of Seven Oaks mall on South Fraser Way. For more of my love of murals, check my Instagram! 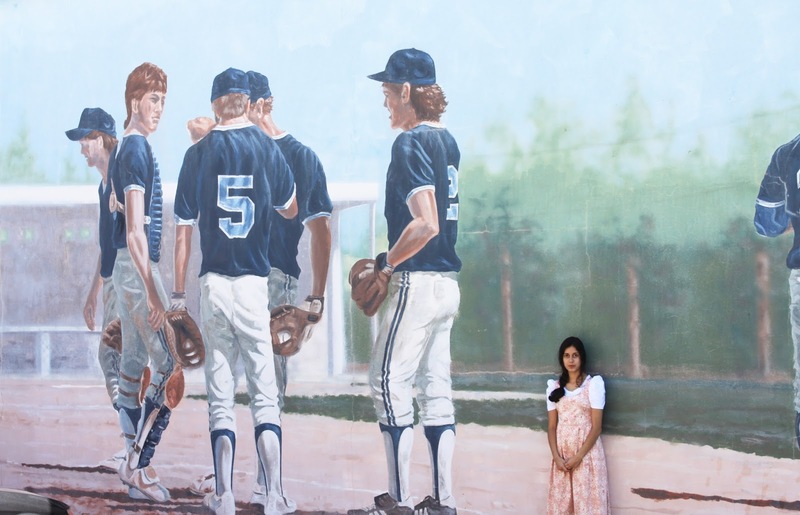 What are some of your favorite murals where you live? Previous Article The One About Modesty. Next Article The One With the First Week of School. 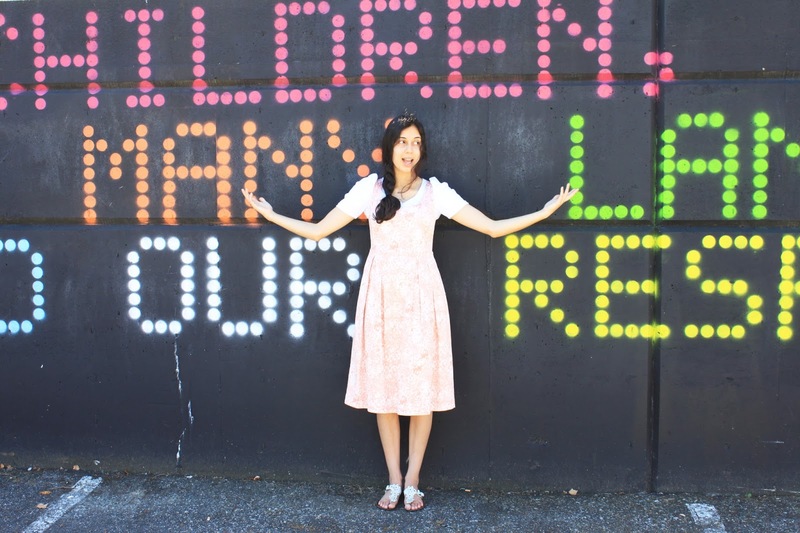 I loved reading this post and hope to see these murals someday. I found the way you named “The Boy” really creative. I don't think we have any murals around here, but I'm going to look.